Revengeofthe5th.net: Today Only! 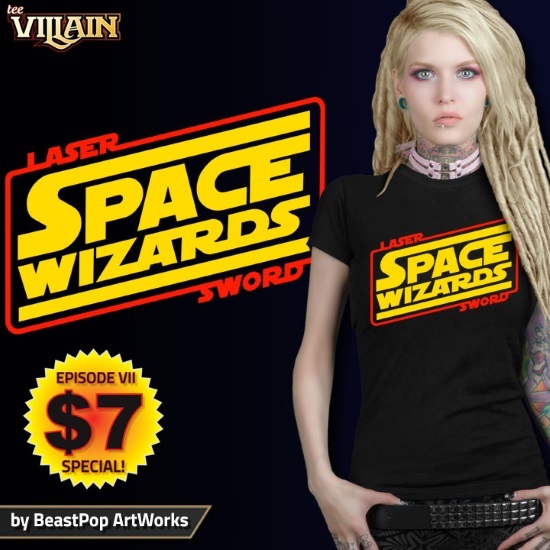 TeeVillain celebrates Episode 7 with a $7 Star Wars themed t-shirt! Today Only! TeeVillain celebrates Episode 7 with a $7 Star Wars themed t-shirt! Epsiode 7 is here, and what better way to celebrate than with a $7 Star Wars themed shirt! 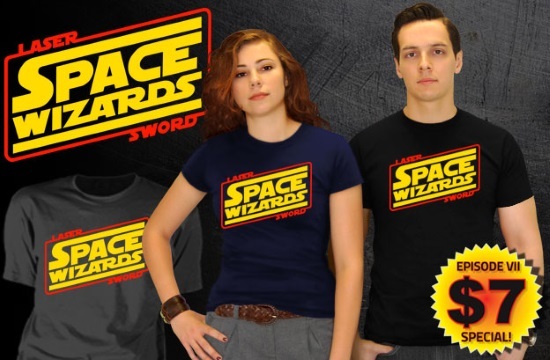 That's what TeeVillain is offering for the next 24 hours only - their "Space Wizards" shirt will only be available through Friday, September 18, so click right here to visit TeeVillain.com and get yours now!